The newly renovated County Club Hills Theater. COUNTRY CLUB HILLS, Ill. (WLS) -- The Country Club Hills Theater reopened on Saturday, after closing three years ago. The public is welcome to the venue, located at 4116 183rd St., for free shows from 3 p.m. to 8 p.m. Saturday to celebrate the reopening. 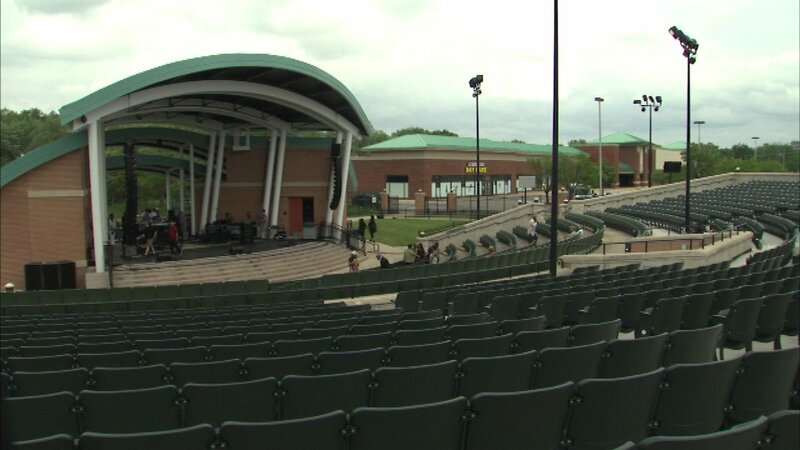 The outdoor amphitheater in the south suburbs underwent a major renovation, which included new seats and other upgrades. The theater closed in 2013 after losing millions of dollars in its first few years of operation. An private firm is now managing the venue. To view the theater's full schedule and ticket information, CLICK HERE.